It is fast coming to the time of year again where some people like to show their respects for those that have fought and lost their lives in the wars. 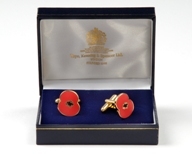 I am not going to get into the debate of whether people SHOULD wear poppies. I think that some people prefer to do their remembrance in their hearts and no one should be judged on whether they wear one or not. Run and owned by The British Legion they do a huge range of poppies that differ from the run of the mill paper ones. Second picture is an enamel badge which is in stock and is a fantastic purchase. Third and fourth pictures are suitable for the professional man in your life who would like to show his respect in a subtle way. There are plenty of other ideas on the website. 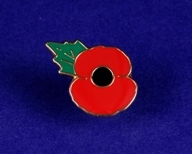 From poppy bags to scarves there is a way to make a donation and show your respect. If you are the sort of person who wears your poppy on your heart and doesn't like to wear anything there is also a facility to donate on the website. My dad is one of the former servicemen and women selling them this year. Nobody should feel they have to wear a poppy, of course, it is a personal choice! I see it as a mark of respect for those who are currently standing in the way of harm, and for those who have done so in the past. I am a big poppy wearing and have mine already :) How did you find out about this website?? I'm with you on the Buckley brooch! Pippa I was just looking for something a bit more long lasting than my usual paper poppy. I wear a poppy every year as I feel it is the least I can do. I just did a google search and luckily this site came up.